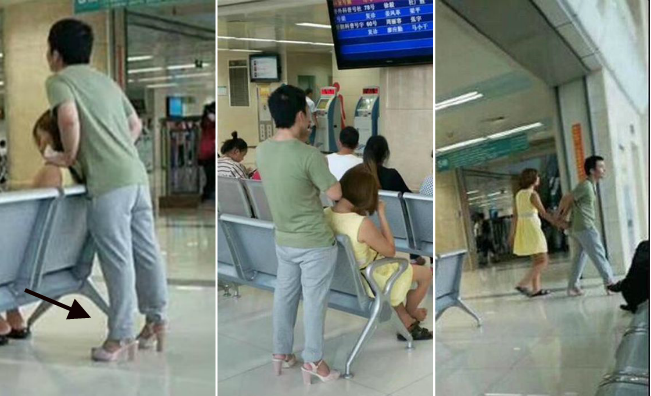 A dedicated boyfriend has been applauded by women around the world after pictures of him wearing his girlfriend’s pink high heels went viral . 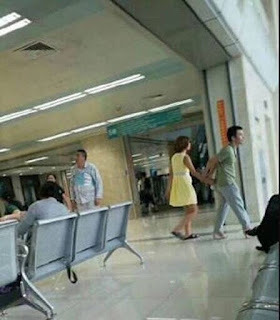 The photographs were taken in a hospital in south-western China, where the girlfriend had been waiting to see a doctor and have since been liked over 25,000 times on social media, and commented on more than 10,000 times, MirrorUK learnt. They show the boyfriend standing in baby pink heeled sandals, while his girlfriend takes a seat wearing his comfortable looking sandals. 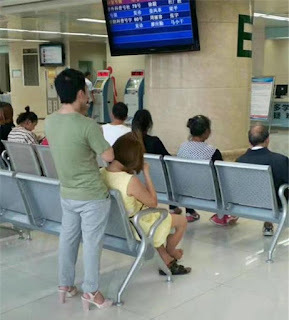 The woman who took the pictures, who has yhe surname Xie, said the couple had already swapped shoes when they arrived at the Xinqiao Hospital in Chongqing Municipality’s Shapingba District. Xie said: “The high heels were pink, so it was very obvious when I saw the man wearing them. 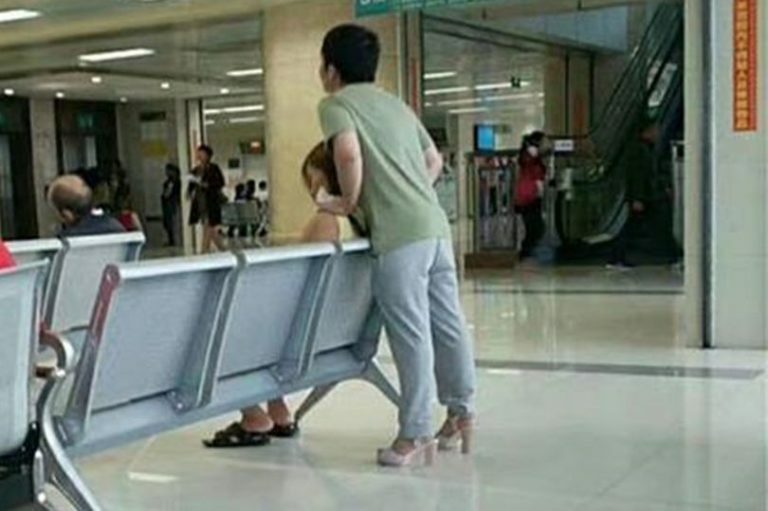 “She did offer to swap their shoes again, but he refused. Xie’s friend took the photograph’s home to “educate” her boyfriend.